Wycombe Wanderers have handed professional deals to academy players Kadeem Harris, Jesse Kewley-Graham, Josh Scowen and Anthony Stewart. 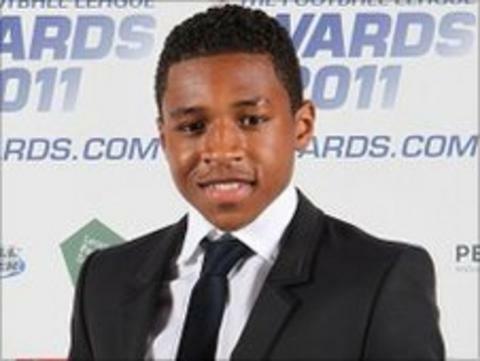 Harris, a 17-year-old winger, won League Two's apprentice of the year award this season and has made three senior appearances. Midfielder Scowen, 18, has featured twice for the Chairboys. Defender Stewart, 18, and 17-year-old midfielder Kewley-Graham have yet to make their senior bows. Head of youth Richard Dobson said: "I'm pleased that their hard work has earned them this reward, but it's important they carry on working hard and learning as young professionals next season. "The players that haven't been offered professional deals can hold their heads high with what they have achieved on the pitch and the style of the play they have brought to the youth team." Boss Gary Waddock added: "I've followed the lads' progress very closely and Richard Dobson has done a fantastic job in preparing them for senior football. "I'm looking forward to welcoming them into the first-team squad and they have the potential to become very exciting players for the club."